With discerning buyers looking for perks beyond the four walls of their apartment, developers, architects and designers are rising to the occasion. Browsing our premium collection of apartments, you may have noticed some recurring features – open-plan living spaces laden with rich timber hues, grandiose kitchens decorated in marble, and indulgent, spa-style bathrooms. But as the appetite for a lifestyle above the comforts of a contemporary living space continues to grow, so must the offering. With discerning buyers looking for perks beyond the four walls of their apartment, developers, architects and designers are rising to the occasion. Browsing our premium collection of apartments you may have noticed some recurring features – open-plan living spaces laden with rich timber hues, grandiose kitchens decorated in marble, and indulgent, spa-style bathrooms. But as the appetite for a lifestyle above the comforts of a contemporary living space continues to grow, so must the offering. As a result, developers are transforming contemporary apartment projects into multi-functional living spaces by including a suite of added amenities, suited to an eclectic range of residents seeking an elevated lifestyle. We had a look at indulgent comforts on the rise to discover just how projects are going above and beyond to surpass residents’ needs and focus on their desires. Where better to enjoy a sunny Sunday afternoon than your own rooftop garden? Surrounded by luscious plants and expansive views, your exclusive sanctuary in the sky is a secret retreat for relaxing or reading – or reaching for the cocktail you brought up from your apartment. Emerging development projects rarely miss the opportunity to foster a resort-style environment on the roof. In a climate like Australia’s, it would be an architectural sin to design a residential building that didn’t offer alfresco dining. While most modern living rooms spill out onto private balconies, contemporary projects are also offering large, communal cooking and dining spaces, often with an unparalleled view. Fire up the first-class BBQ and invite your friends round to feast in your exclusive home-restaurant. Why swim laps at your local leisure centre when you could swim them in the comfort and privacy of your own home? The epitome of summertime luxury presents itself in new projects that have their own pool – whether it’s for a tranquil dip or a splash of fun. Love kicking a ball around with the kids or having romantic picnics in the park? Having a secluded green space that’s off limits to the outside world can improve your lifestyle dramatically. More and more, development projects encompass entire precincts with dedicated parks and gardens purely for residents’ recreation. Travelling to and from the gym eats away at your leisure time and can be enough to deter you from achieving your exercise goals. 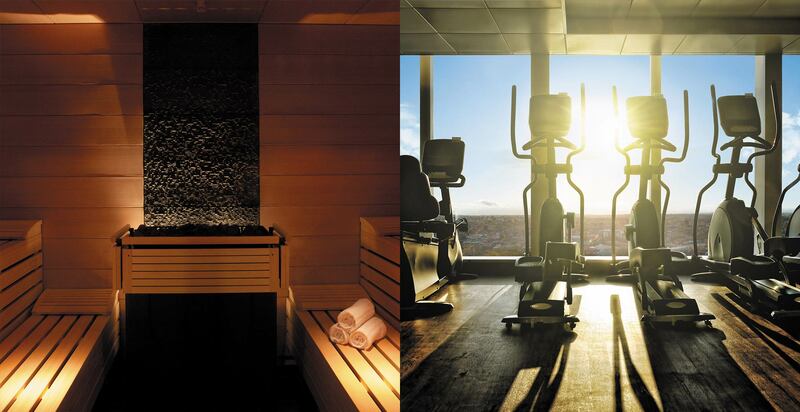 The convenience of having a fully-equipped gym in the building saves residents precious time and missed workouts – not to mention costly gym membership fees. Certainly a rarer amenity than rooftops and parks, home cinemas are a glamorous addition to modern apartment buildings. If you like the big screen but prefer to watch movies at home, the days of compromise are over. 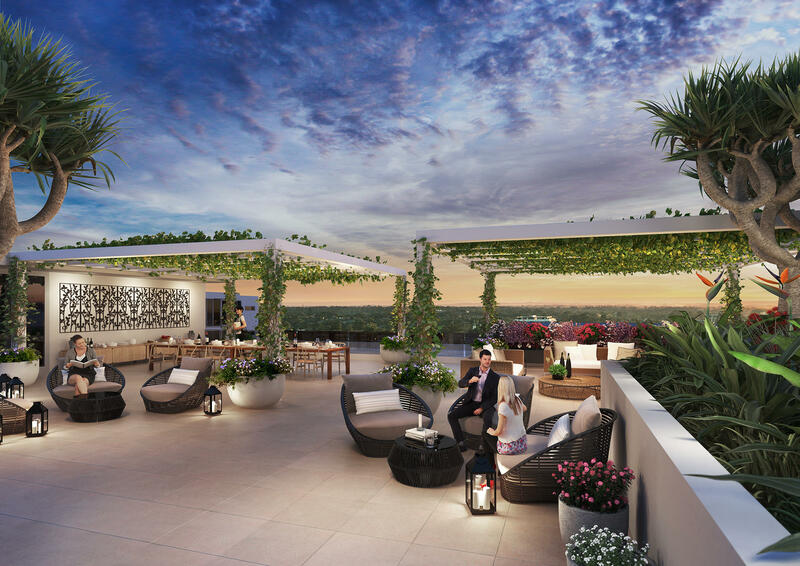 The inclusion of private and even outdoor cinemas add a surreal sense of exclusivity to apartment living. For those with an exceptionally busy lifestyle, be it down to running a business empire or maintaining a socialite status, an emerging trend of apartments that include a full suite of hotel services could be life-changing. These services often include concierge, security, laundry, a cleaner and room service. Why spend your time worrying about errands when you could be on the roof with a cocktail? With everyday resort-style living already being realised through imaginative apartment developments, what does the future of luxury living hold? Complimentary personal robot maids? A community helicopter and helipad? We’ll keep you posted. Browse more off the plan apartments with luxurious amenities.